Donna Maria Coles Johnson speaks on day three of the United States Lavender Conference in Charleston, South Carolina. When I got the email that Donna Maria was looking for a photographer in the Charleston area to cover her talk at the United States Lavender Conference (USLC), I almost thought it was a prank or spam email and moved right on. I am glad I didn’t. For when I made that phone call and spoke to Donna, I felt a tremendous energy and enthusiasm on the other end of the line. Donna showcased how if you combine the elements of a product or service, with personal passion/lifestyle/experiences with the tools of social media, you could find a sweet spot where the community economy can thrive. Not forced, not coerced, not even sold to, but guided. These community economies thrive not because of what is received from them, but by what is put into them from the community. Thanks Donna Maria for trusting me with this opportunity and I look forward to many more in the future. Lavender is highly drought resistant when mature and needs little to no water. Lavender is part of the Mint family and is resistant to insects. There are 39 species and over 400 varieties of lavender with some even being GREEN in color! Lavender was used in mummification in ancient Egypt. The United States Lavender Growers' Association hosts a conference every other year, offered in locations rotated throughout the United States. 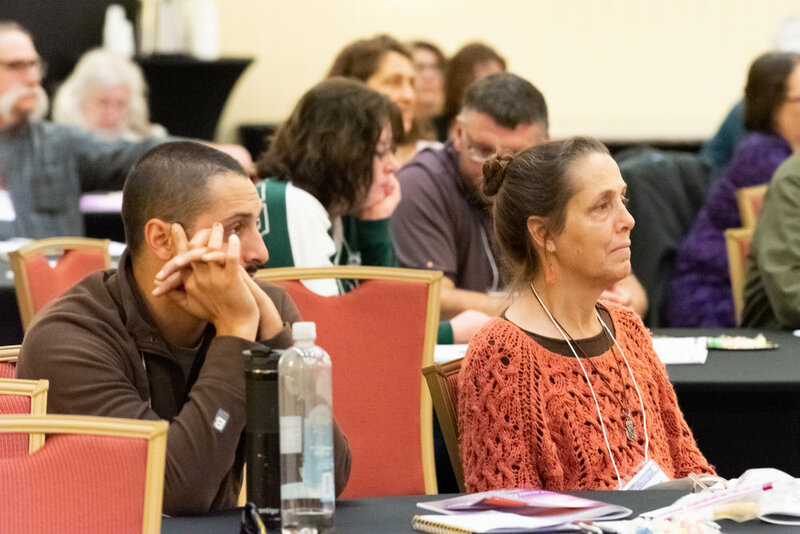 This year’s theme was: "Growing Your Lavender Business with Inspiration and Innovation"
The 2019 conference celebrated the inspiration (the "why") each people are drawn to lavender and building a lavender business, and the innovation (the "how") that so many lavender businesses have applied to diversify and have grown their businesses to be profitable and rewarding.